A lost Ohio soul treasure – the initial effort by a singer with a hell of a voice, but one who languished in obscurity after the poor response to this debut LP! 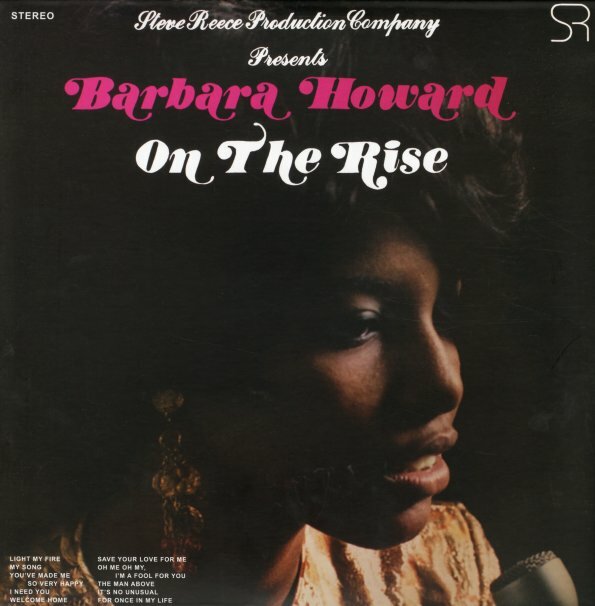 Barbara Howard really knocks it out of the park here – singing like a deep soul diva with a hell of a lot of power and focus – but also moving effortlessly through material from a variety of modes, often given a bit of a jazzy twist in the backings – almost as if Howard's trying to be the southern soul answer to Nancy Wilson on Capitol Records! There's maybe a Spanky Wilson vibe to the whole thing – with a similar punch in the arrangements – and titles include "The Man Above", "Save Your Love For Me", "Light My Fire", "My Song", "I Need You", "Welcome Home", "You've Made Me So Very Happy", and "For Once In My Life". © 1996-2019, Dusty Groove, Inc.